A World War I hand grenade has been discovered among potatoes in a Hong Kong food factory. The 8cm-wide explosive device had been shipped from France to a crisp (chip) manufacturer in the Chinese territory, reports the BBC. Startled factory staff alerted police after its discovery on Saturday. 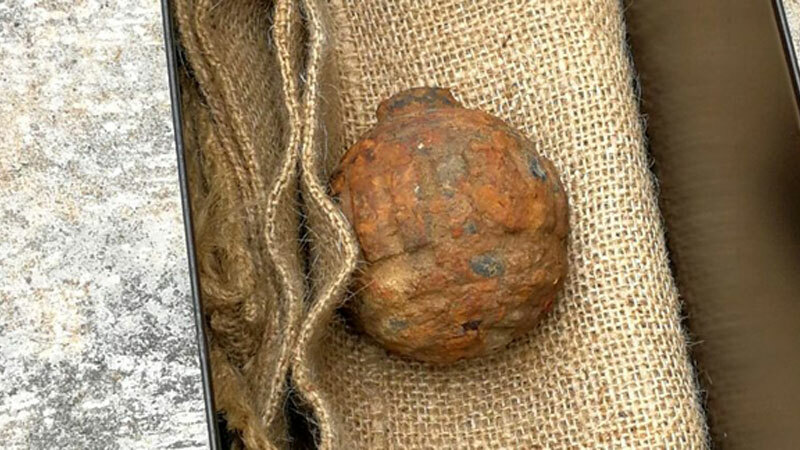 Footage showed bomb disposal experts safely detonating the 100-year-old grenade using a high pressure water firing device. "All the information to date suggests that the grenade was imported from France together with the other potatoes," Superintendant Wong Ho-hon said. It is believed the weapon was accidentally dug up with potatoes planted in a field in France before being shipped to Asia. “The grenade was likely to have been left behind, dropped by soldiers there during the war, or left there after it was thrown,” military historian Dave Macri told the South China Morning Post.